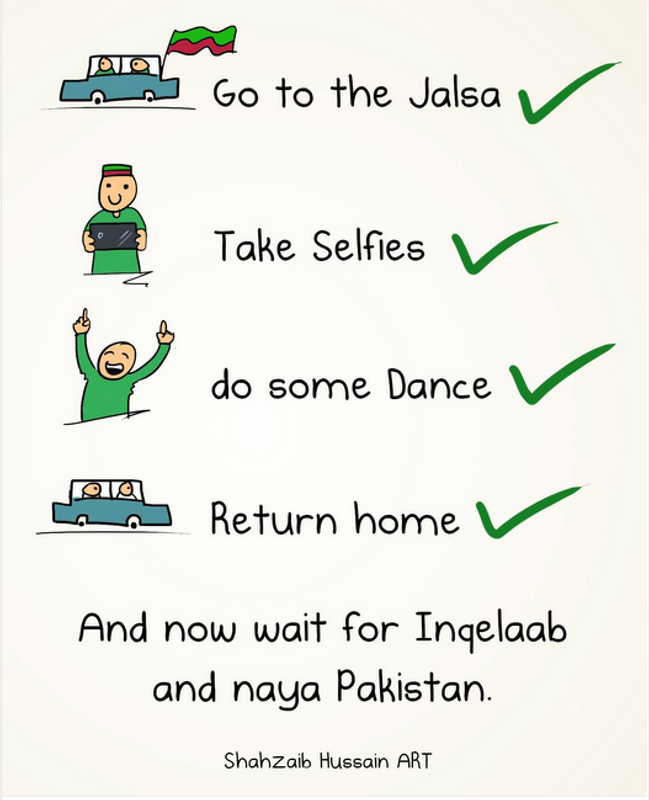 The recent tumult has tickled Pakistan's funny bone. Pakistan's political crisis has been simmering for two months now, ever since politicians Imran Khan and Tahir-ul Qadri decided to launch an agitation about the credibility of the last general elections. 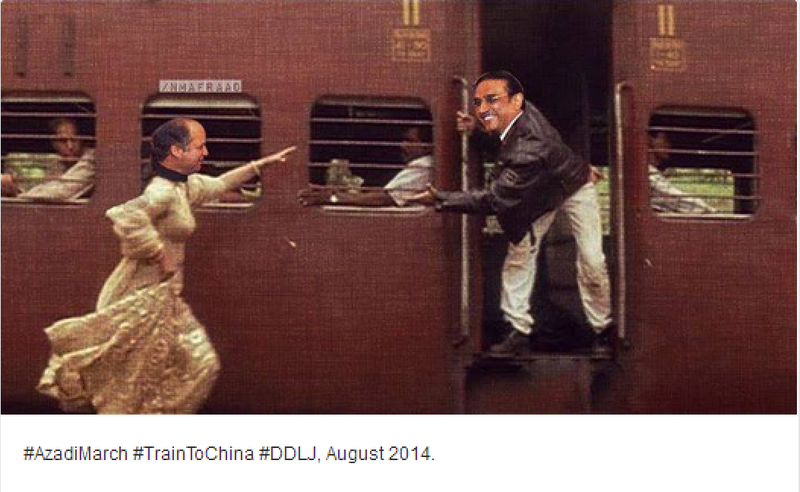 As always, the agitation provided ample fodder for humour. Here are some memes that have surged across the internet. 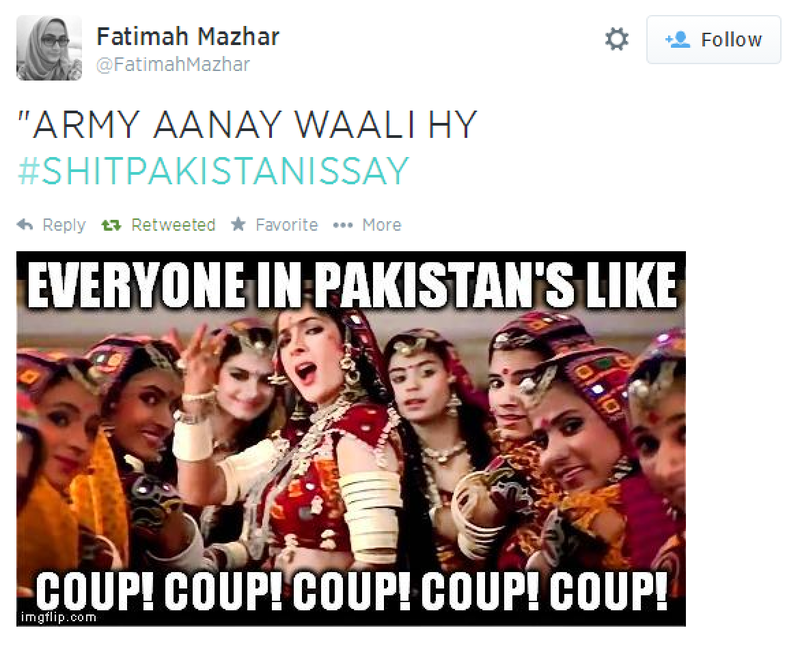 Capturing the widespread fear that the political unrest is a ploy to prepare ground for another coup by the Pakistani Army. 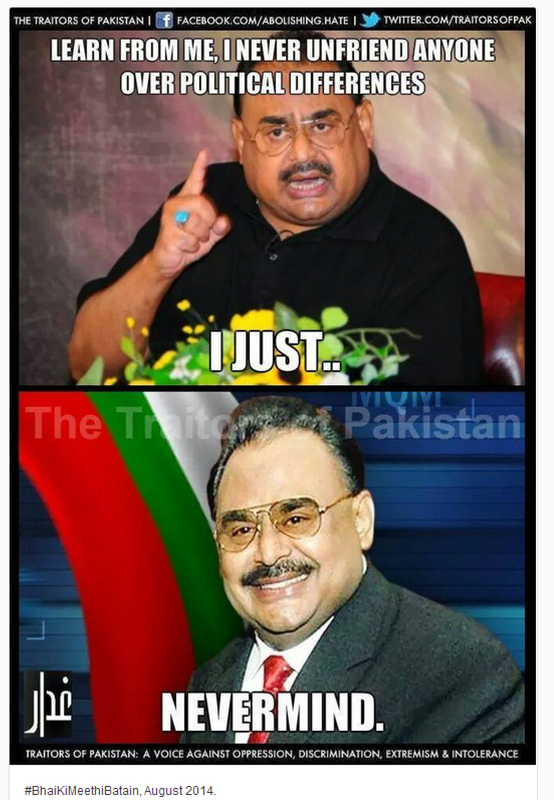 On the opportunism of the notorious London-based Muttahida Qaumi Movement leader Altaf Hussain. 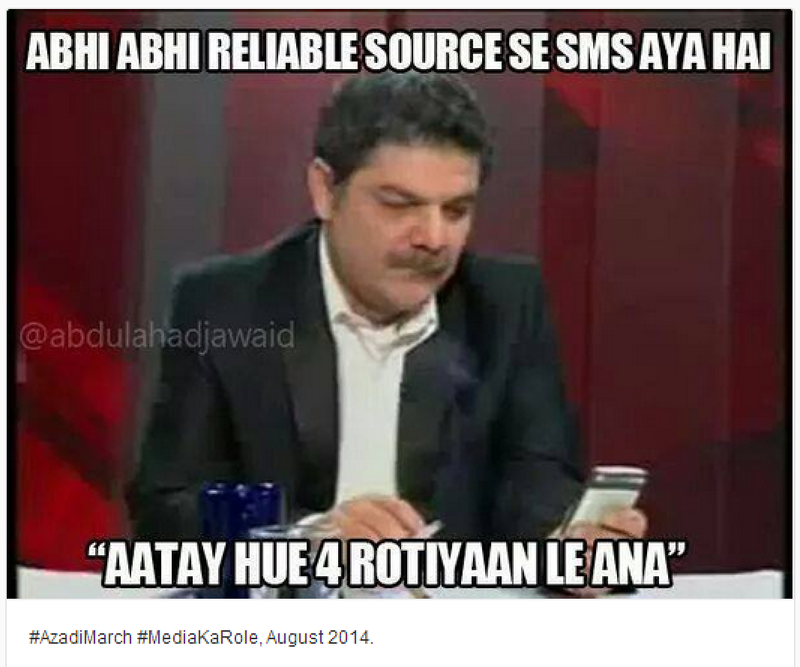 A comment on the polarised role of the media: the image below lampoons Mubashir Lucman, lead news anchor the ARY television channel, which has been accused of taking the protestors' side in the crisis. 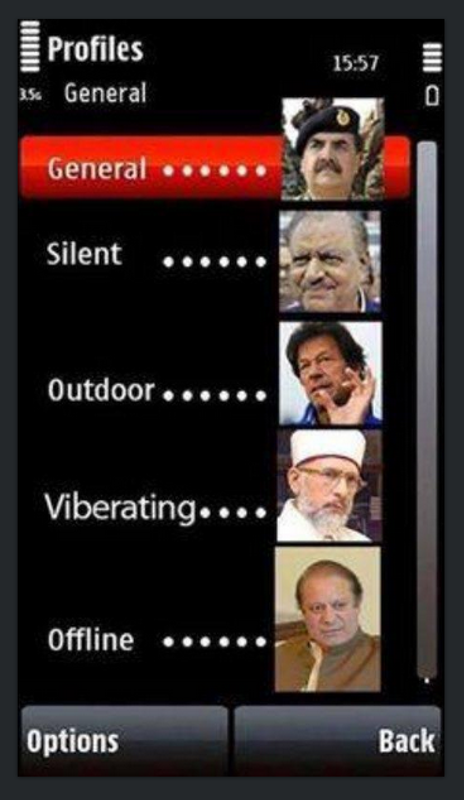 That's Pakistani army chief General Raheel Sharif, Pakistan President Mamnoon Hussain, politicians Imran Khan, Tahir ul Qadri and Prime Minister Nawaz Sharif. 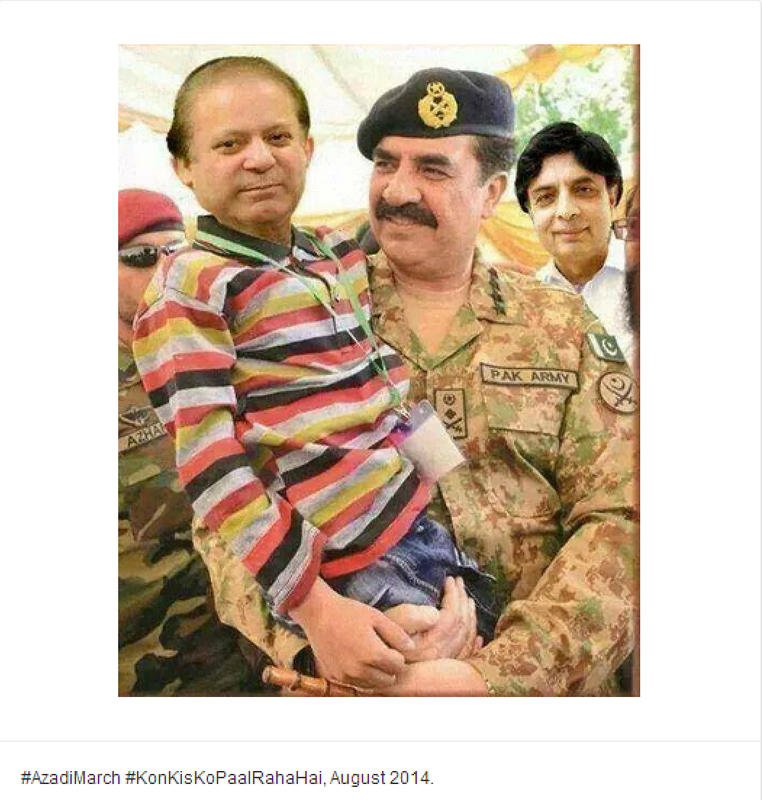 A Photoshopped image of Prime Minister Nawaz Sharif with army chief Raheel Sharif, analysing the impact of the current crisis on civil-military relations. 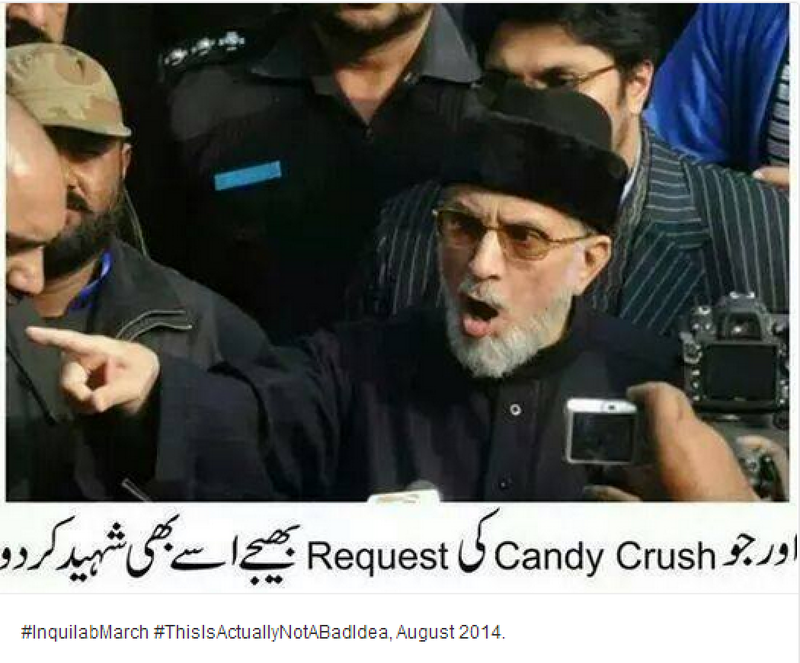 Making fun of politician Tahir ul Qadri, who requested protestors to bring cricket gear, lego games and other toys so that children could stay at the protest site. A comment on the silence of the President of Pakistan in a crisis seen as threatening democracy. A useful reminder of how President Asif Ali Zardari was the only civilian to have completed five years in power, despite pressures similar to the one Nawaz Sharif is facing right now. On the protestors' claim that they were seeking to bring about a revolution, overthrowing the elected government.